Do You Really Need SEO Services for Your Business? - Imagine. Create. Engage. SEO has become a word which is on every person’s tongue these days. There would be hardly any businessmen who aren’t aware of the term SEO. With the changing digital era and revolutionizing technologies, the uses of techniques like Search Engine Optimization have become more and more inevitable. However, there are certain limitations to this great digital tool as well. Certain factors determine if your company actually needs SEO service. This is the question that you need to ask yourself before actually making your business SEO friendly. Digital marketing has set new standards for business. It has created a more open, vast and unavoidable digital world. And any business, not having a considerable online presence, is regarded as non-functional. 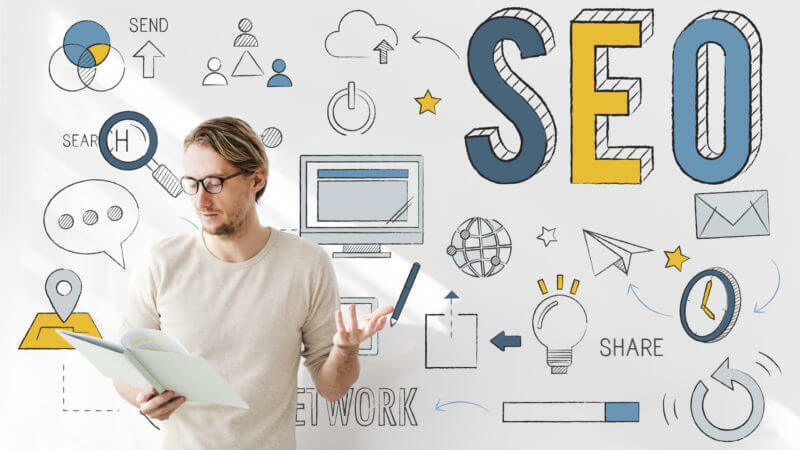 If you want to evaluate whether SEO is a pre-requisite for your business or not, check these points and see if they resemble your company’s approach in any way. There are many companies which aim at achieving faster and quick results. If you want to get the quick sales, SEO might not be your thing. Search Engine Optimization takes time to reflect the results. The average time it takes to reflect the profits is 6 months. Therefore, it would not be desirable for you. You can rather go for paid marketing and opt-in email marketing which may promise quicker sales. which is baked fresh every morning and your business is confined to a local area, SEO may not help as much as the local reviews will. Updating the social media pages and checking and inviting reviews will certainly make buyer attracted to your brand. People nowadays, do trust the online reviews to a large extent and therefore, you can opt this strategy for your local business rather than making your brand SEO friendly. Another reason why SEO may not benefit you as much as you want is that the keywords you use or are integral to your service may not be searched a lot of times. The search volume of the keywords you use may only be restricted to very little time in a month. Therefore, in this case, even if you achieve the first rank on Google, nobody is searching and hence, there’s no point. For something which changes regularly and rapidly, carrying out an effective SEO is hard. If you want to promote some event, SEO may not be the ideal marketing tool as it takes time to show results and by the time people know about your event, the event might actually be over. Also for businesses who do sell products only for a month or a couple of months, SEO may not work to fetch the sales. In these cases, paid advertising, Adwords campaign may benefit instead. In a certain industry, there may be some keywords which are caught under the radar of big companies. They dominate the market and might have much more resources than you. The budget difference may also be vast. Therefore, targeting the keywords dominated by these big companies may require you to work harder and your efforts still may not bear the fruits. In such a case, carrying out SEO, by spending your resources and capital would turn out to be waste. There may be cases where the product you are targeting or selling is not searchable online. There are certain products which people aren’t searching in the online marketplace. Therefore, the SEO friendly business, in this case too may turn out to be a failure. SEO is an integral component of the digital world and using it the right way for the right business would surely bear fruitful results. All you need is to plan your strategy smartly and intelligently. Choose your product carefully and your strategy accordingly. The right combination of the two will lead your business to grow exponentially and cross milestones.